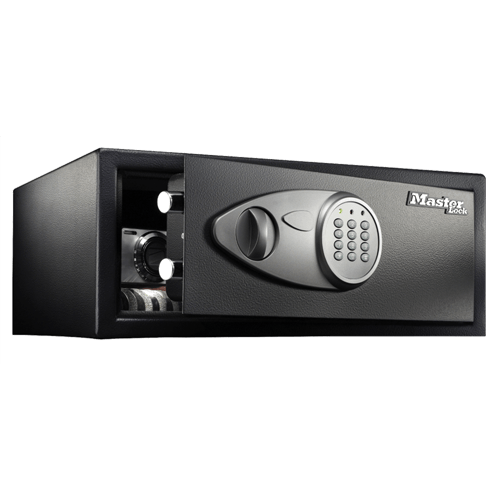 The Master Lock Digital Security Safe X075ML is built to safeguard your precious valuables and electronics from theft. Solid steel construction, two live-locking bolts, and dual digital lock with key offer added security for your items. Large enough to fit most laptops, this safe also offers power cord access to keep your electronics secure even while they are plugged in.